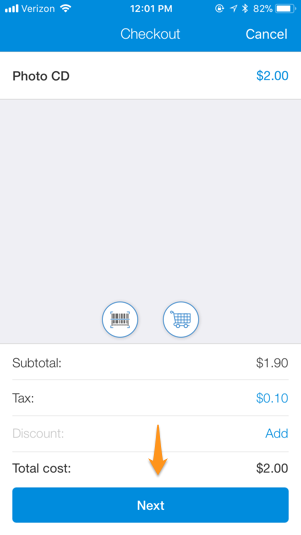 A step-by-step guide to using a card reader to process payments through the Genbook Manager app on your phone. The Genbook card reader allows you to process card-present transactions for your customers' payments by swiping their card or inserting card if they have a chip. Processing cards in this way adds an extra layer of security to transactions, and offers the additional benefit of a lower processing fee (2.7% + $0.30). Below are the steps you'll need to take to charge a customer's card using the card reader. 1. 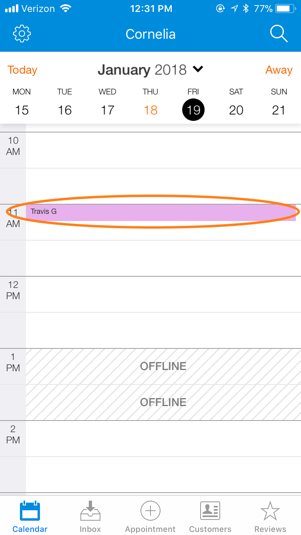 In Genbook Manager for iPhone or Android (blue icon), tap on the appointment in your Calendar. 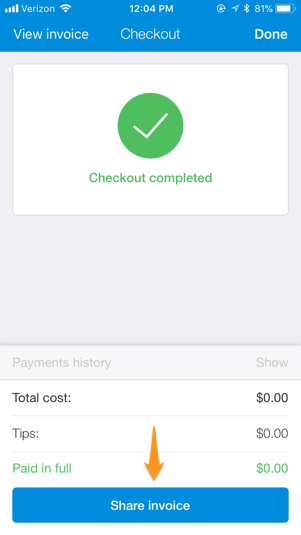 2.Next, tap the blue "Checkout" button at the bottom. 3. If you aren't adding any products to the sale, tap "Next" at the bottom of the following screen. 4. 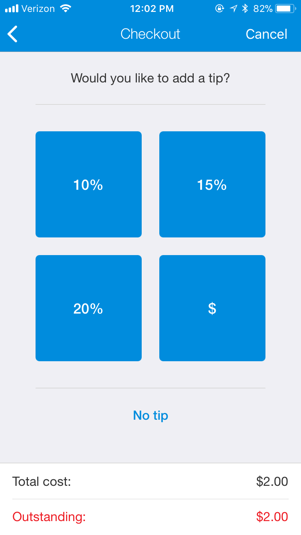 Let your customer choose a tip amount or tap "No tip" on the next screen. 5. If you haven't already connected the card reader to your phone yet, do so now. 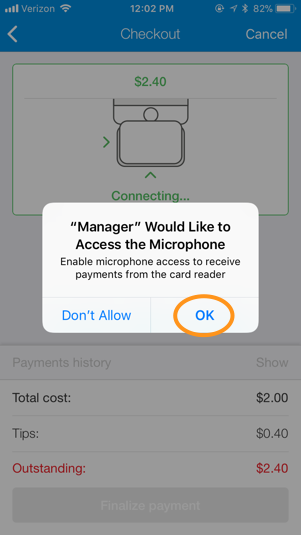 If you're asked whether you wish to allow the Genbook Manager app to access your microphone, choose "OK". 6. 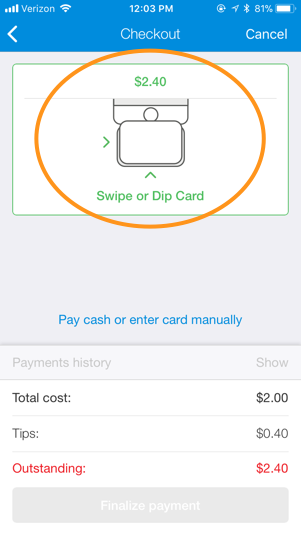 If the card reader is properly attached and recognized, you'll see confirmation of that shortly on your screen. You can then swipe the card or insert the card reader to collect payment. Once the payment goes through, you'll see confirmation of that and have the option to send your client their invoice/receipt. 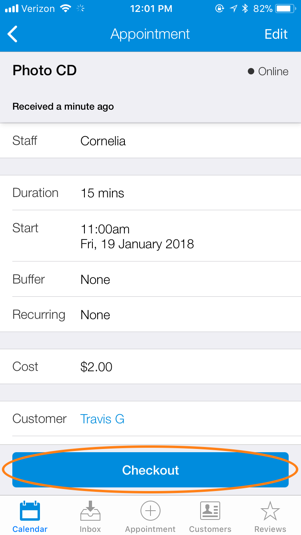 Just tap the blue "Share Invoice" button at the bottom of your screen. Have questions? Give our team a ring at 844.388.3447.